Caltrans’ $9 million ‘GreenStop’ in Tulare County is a new self-sustaining refuge aimed at providing a new experience from traditional rest stops. 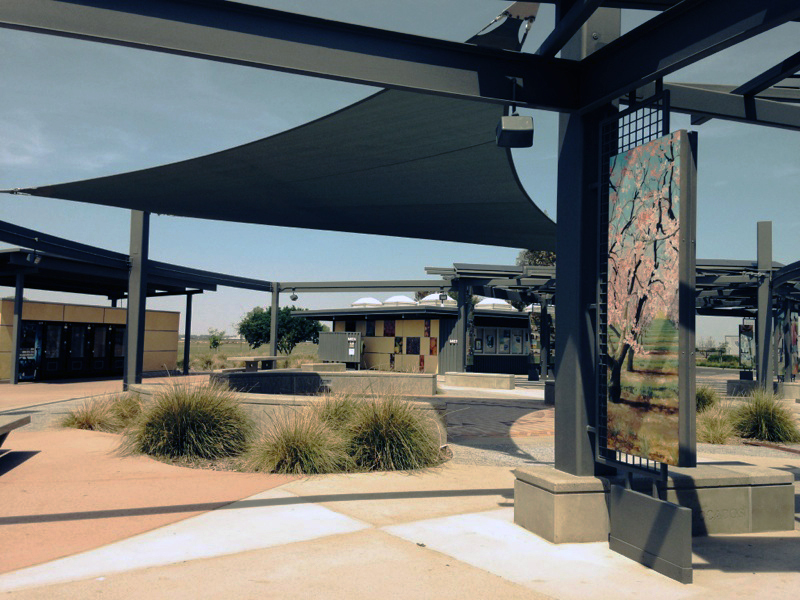 The enhanced rest area contains artwork, informational panels, restored green space and plants, and an experience to help travelers get back on the road refreshed and alert. The rest area was awarded a LEED Platinum certification, the highest possible environmental rating by the United States Green Building Council.